A few weeks ago I wrote a blog (Working Moms) about how difficult it was for me to go back to work after my son was born. I had no idea I was about to experience another extremely difficult transition …. 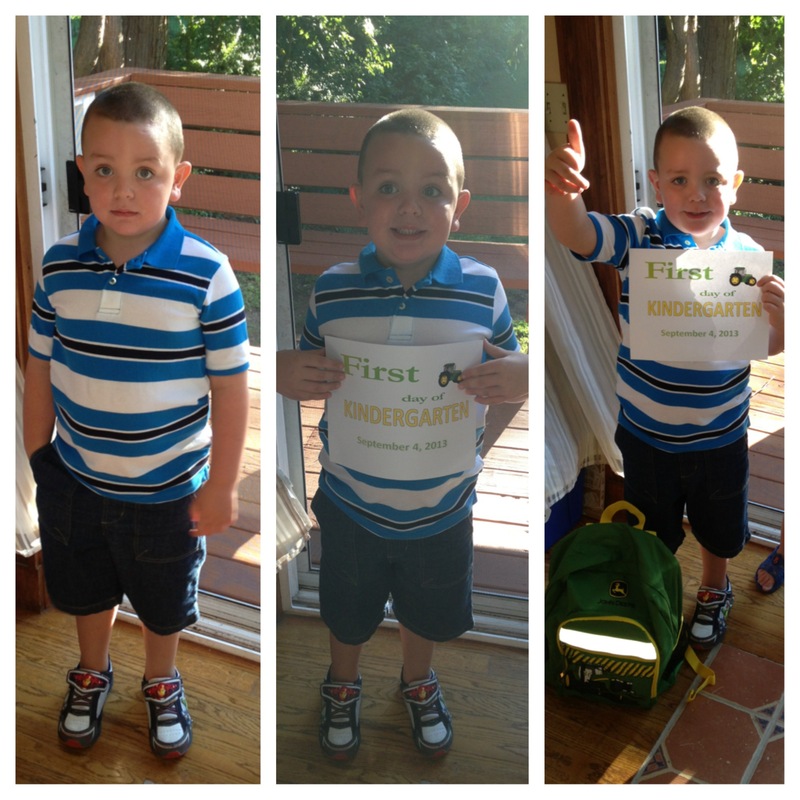 Kindergarten has been a hot topic in our house this past year. We talked about making new friends, going to school for a full day, going to school for five days, riding the bus, all of the other changes JP was going to encounter moving from pre-school to kindergarten. However, I was unprepared for the array of emotions that would consume me that day. I was nervous for him. I wanted him to make friends. To be polite. To be well liked by his teachers. To follow directions. To be able to eat his snack and lunch without spilling things all over himself or his eating area. To come off the bus grinning from ear to ear, telling me it was ‘the best day ever!’ To have fun. To enjoy learning…I wanted to stop time so I could keep my little boy a little boy just a little while longer. 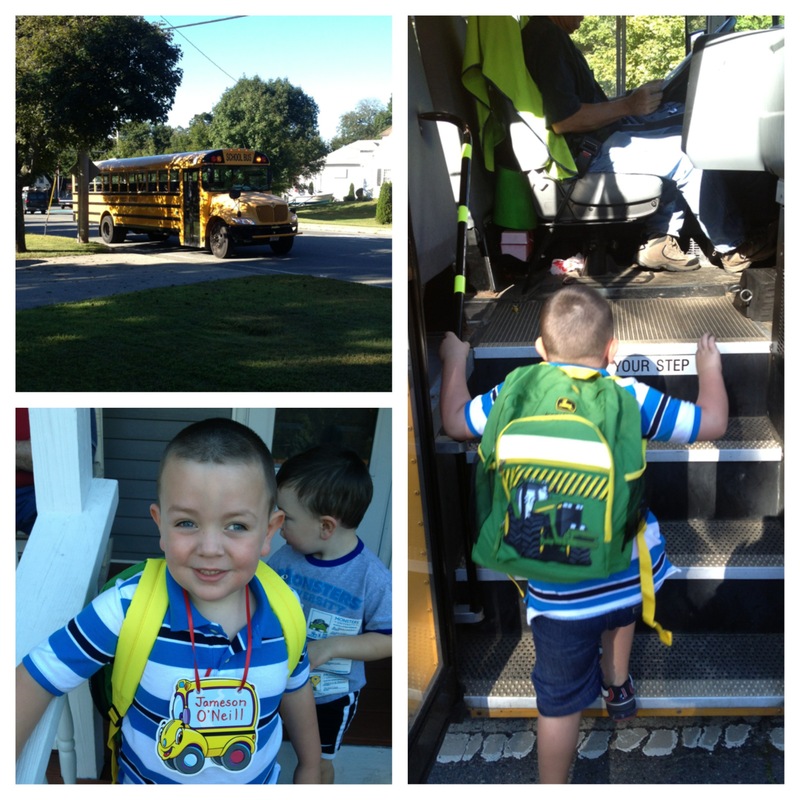 That morning I went in late to work so that I could make him breakfast and see him off on the school bus. My stomach was in knots. I was sure he’d be ok, but I wasn’t going to be there to ensure he would be ok. What if he had to go to the bathroom and didn’t tell anyone? What if he got lost and didn’t remember his room number? What if something happened on the bus? What if no one wanted to sit with him at lunch? What if it was a total disaster and he never wanted to go back? I was completely overthinking this…. I had to stop thinking this way because I did not want to lose control of my emotions in front of him. We were ready for the bus 35 minutes early. It was probably the first (and last) time I was ever early for anything in my life. It was a beautiful morning and after the photo shoot I made him take part in, we sat on the front porch, as a family, waiting for the bus. There were periods of awkward silence and JP would rest his head on my shoulder and sit a little closer to me. I just wanted to scoop him up and hug him and pretend this day wasn’t happening. And then the big yellow bus came around the corner. JP stood up, reached for my hand, and we walked to the waiting bus. The kids on the bus looked miserable. They stared out the window at us with deadpan faces. I waved at them, hoping one or two would smile and make me feel like I wasn’t sending my son to a miserable place. The doors opened and my insides turned to lead. My little man stood a little straighter, took a deep breath and walked up the stairs. He seemed so nervous – I’m not sure if he was sensing my emotions or these were his own. He instantly sat down behind the bus driver in a seat so far away I couldn’t wave to him and give one last smile of encouragement. The door to the bus closed and I wanted to bang on it until the driver opened it so I could give my baby one last hug and tell him that everything would be alright. But I didn’t. I stood there, smiling, holding back tears, waving to a bus full of scared, anxious kindergarteners. I tried to hold it together as I gathered my bags for work and said goodbye to my family. And then I got in my car and balled like a baby. It was very reminiscent of leaving my house five years ago when I was leaving to go to work and he was a chunk-a-licious infant swaddled and awaiting my return. The workday was exhausting. I thought about him incessantly. I so desperately wanted to call the school to find out if he was OK. But I wasn’t going to be that crazy mom. I felt that it was OK if it was in my head, but if others knew how I was feeling, it might get a little weird. The end of my day could not come fast enough. I was home about 20 minutes before the bus was set to arrive and waited on the porch for the big yellow bus that was carrying my pride and joy to arrive. My stomach was still in knots. There were quite a few busses that went by carrying other people’s children, but the one I was waiting for did not come. I was ready to jump out of my skin! And then, it finally came. I wanted to run to the door to greet him. I was ready for tears and a sad face, but hoping for smiles and excitement. The door opened and there he was. Smiles from ear to ear. 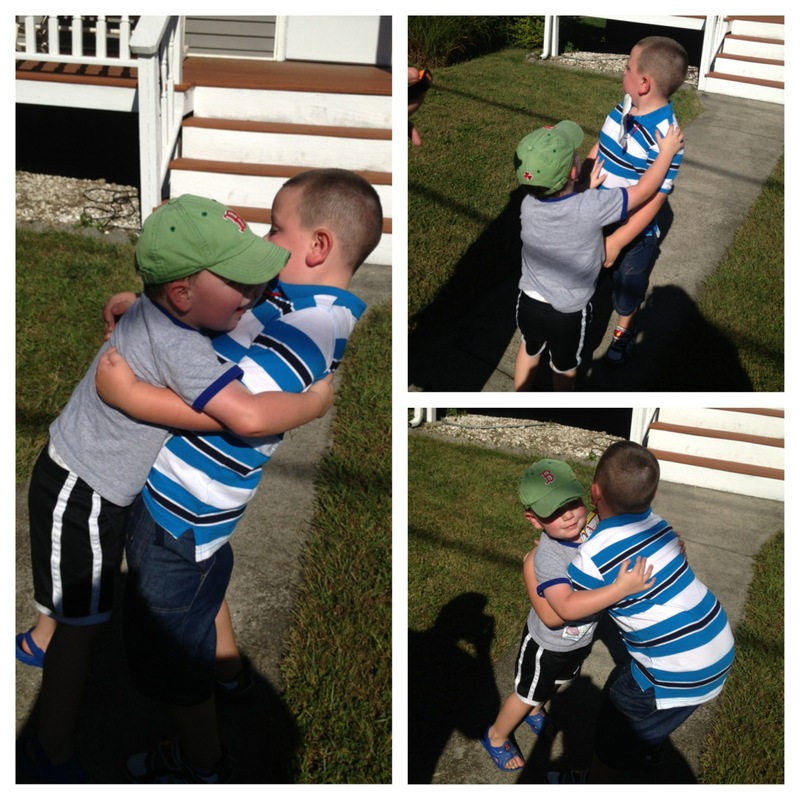 “Mama, I had the best day!” He ran and bear-hugged his brother (who missed him terribly), high-fived my husband and wrapped his arms around me, and everything was ok…just like I knew it would be. oh Heather. That was great. Love that Jameson. He is destined for good things. Wow. Now he’s a big boy and is adorable! By the way, if you’re looking for the perfect outfit that will match you good-looking boy, check out this site http://littletrendstar.com/.